Little Theodore Teddy is a sensitive teddy mouse who loves rainbows and sunbeams. He is looking for a friendly person to adopt him who appreciates importance of a good cuddle. 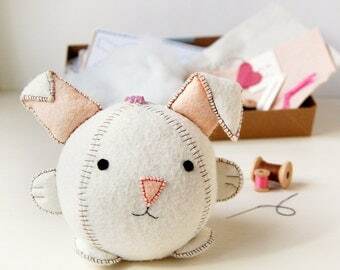 He is 100% handstitched from beautiful white mohair with glass eyes, pink nose and little embroidered mouth. He is 13cm short standing and 12cm when sitting. He is filled with polyester stuffing with steel shot in his tummy which gives him a lovely satisfying weight when you cuddle him and keeps him sitting upright. 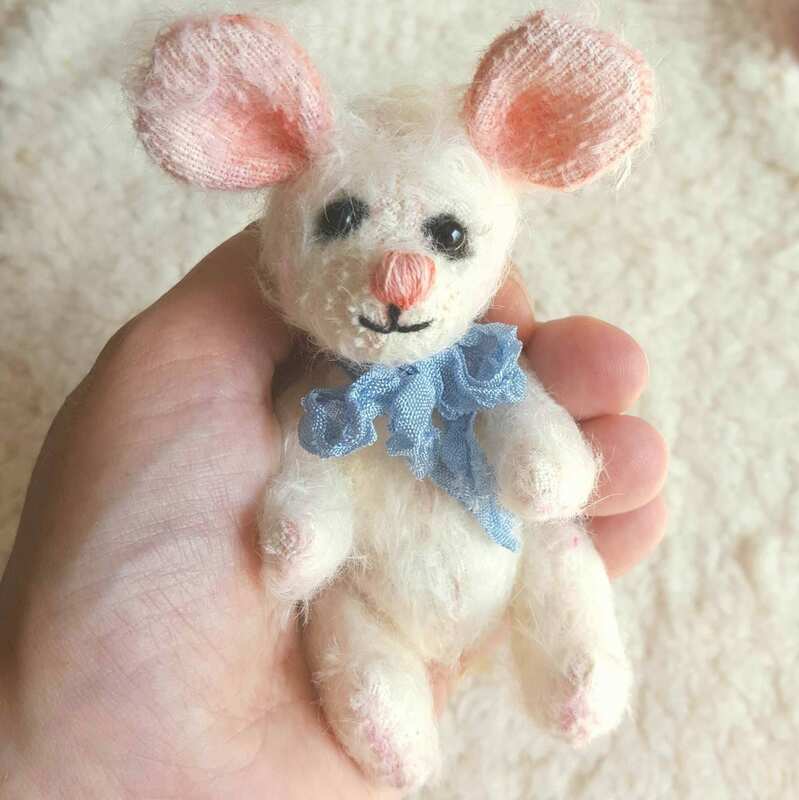 He is a fully jointed mouse bear with movable arms, legs and head. He is not a toy and is a collectible artist mouse bear for bear loving folk aged 14 and over. Each one of my Dandelion Bears is created to be a one of kind critter with unique details which make up its own individual character.